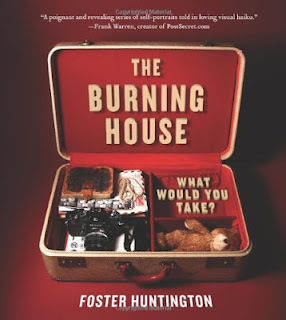 I received an e-mail asking if I'd like to review The Burning House and I just had to say yes. As most of you are aware, we had a "fire" in our house at the first of the year. (You can read about that here, if you like.) Every single item we owned was cleaned or totaled. Having to go through the entire contents of one's home, deciding what is truly important and what is not, is definitely an eye-opening and life changing experience. The, um, funny thing was that at the first of this year I had personally prayed that God would teach us how to simplify our lives. We had both felt that we were just too busy and were therefore unable to relax and enjoy our family. We weren't sure where to cut back but when you ask the Lord for wisdom, you will receive it! (His answer might just look a little different than you were originally thinking!) In February we began simplifying our life by over cooking a chicken. That chicken would change both the course of our year and would further define the vision we have for our family. (And all for just $5.82! Who knew?!!) There are so many lessons we have learned and are learning from this experience. When I saw the e-mail come through for this book, I just had to take a look! A quick perusal of either the book or the website gives you a very good idea of what people in this modern world find valuable. People list everything from pets, to family pictures to sporks. (Yes, one lady said she'd take a spork.) Family heirlooms, jewelry and a post card of poppies to remind the person who is theoretically fleeing that the world is still a beautiful place. I do think this book is fascinating but having actually lived through a situation in which I had to value items aside from my family I can tell you - unequivocally - that the most important thing is getting the people you love outside the house and into a safe situation. If you are standing outside the house with all of the people you love intact, and with everything inside the house completely and utterly destroyed, then you have everything you need. And if you realize that is all that you need, then the good question to ask yourself is, "Why is the stuff so important to me?" One of the things Jonathan and I did while we were displaced and our home was being restored, was to make a list of all of the items which we owned and did not want to replace, no matter what. We used the opportunity to cull down our possessions in our minds ahead of time so that we could clean house, with or without help of the cleaning company, after the damage had been repaired. This was a good exercise. It's left us with less clutter and more room for the kids to run around and play. We opted not to replace a good number of things and replace only essentials and that has been very good for us. I realized when we were away from stuff that I had less to tend to and care for during the day, allowing for more freedom to relax with my kids and build relationship. Again, it's about the people. If you really are running away from a burning house I think it is very tempting to think about things like family photographs and heirlooms. (We certainly did think of them and tried to make sure they received prompt attention and care so as to suffer the least amount of damage!) But in the end, really, you realize it's just stuff and you can live (happily) without it. And, just perhaps, be the better off without it! Is it bad to have stuff and care about it? No. Is it ok to own things? Yes, absolutely. Things can delight us and also remind us of people who have and do delight us still. Things can represent relationships which have great depth and it is ok to feel sentimental! God created us with emotions, all of which He Himself is in possession of, and it is a credit to Him for us to display and feel those emotions rightly. It is only wrong to feel that deeply towards a thing if that emotion causes you to put the thing before Christ. So who and what has Christ made you to be? What does He say is important in your life? How do you define yourself in Him? These are the greater questions that I would be asking, were I participating in creating an online dating profile. These are questions I have for my friends and family and which I pose to myself with some frequency. 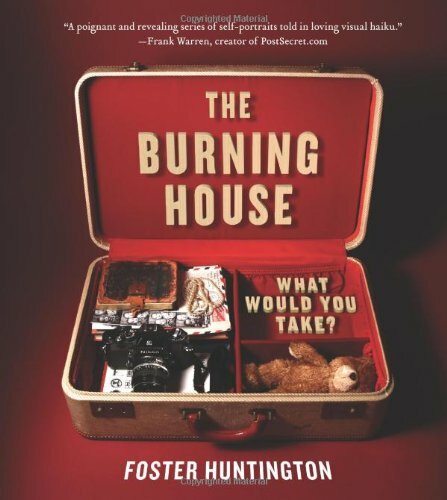 The Burning House is definitely a great curiosity. I was entertained, amused and also saddened by reading through it and discovering what others found to be the most important objects in their life. I do agree that a good question that you could ask someone as you are getting to know them is what they would take from a burning house. It does say something about the person, that is for sure. That is what makes this book and The Burning House website so intriguing. It discusses life and what people are making of it! Asking ourselves these questions and evaluating our answers is a good idea. So I'm glad to have flipped through this book as it caused me to reflect on some things which I learned (and needed to remember) when this situation was presented to me. Thanks to Harper Collins for shooting a copy of this book my direction! That is an interesting question to ponder. I suspect in the moment, though, it would just be a matter of getting the family out first and then seeing if there was time to grab anything else. My first instinct would be photo albums, but so many of our photos are digital now, we couldn't really unplug and drag out the computer. But they are backed up on a external hard drive, so that helps. I've had to wrestle with things from my childhood that have been left behind at various points, and have had to come back an remind myself that, sentimental and treasured though they are, they ARE just things and can't be carried to heaven with us. When there, I'm sure we'll be taken up with so much else that we won't even remember those earthly treasures. Another interesting question along those lines is, "What would you do if you were given $2,000 with strict instructions to spend it on yourself?" A friend asked me that some years ago. I think I said I'd pay off a bill, get something for the house, or take the family on a vacation. She said she'd buy a piece of jewelry. One piece of jewelry. I was astounded! If I owned one thing that cost $2,000, I'd never wear it for fear of losing it or messing it up. That's a question I've considered. My family is definitely #1 priority, but if I had time, I'd grab pictures! Jonathan's family lost their house(pictures included) when he was younger, and it's hard not having them to compare to our little one's pictures. (We do have some that his grandparents had taken, so we're not completely without). I've been meaning to scan and save all of our pictures onto CDs, and store them elsewhere, so I wouldn't have to even give them a second thought if fire were an issue. I think I saw a news article about this a few weeks ago and I agree, so interesting. I found the spork one hilarious, or one similar, it was some hippy lady that would basically take things she would need to survive, nothing that was sentimental! I have thought about this at times as I've had friends lose their homes and we currently drive past a burnt out house every day - it burnt last year and they haven't done anything with it and all the stuff is still spread out everywhere, but there's a big No Trespassing sign out. It's very odd. Anyway, I would of course first make sure that all my family was outside. Then if there was any chance of rescuing anything I'd grab my scrapbooks - they are near a large windwo so it might be possible! My flute, as it has it's own personality and I've had it since high school, and my external hard drive with all my digital photos on it. Basically everything else is replaceable! I'm so glad your family is ok. *hugs* I have no idea what it's like to lose everything but I'm so glad that all of you were safe and that you have such a positive attitude about it all. :) I hope you have a great weekend! Ahem--just spent too much time browsing that site. Definite theme of art and technology! I can see why this was an interestingly-timed book to be sent your way. Such an interesting concept for a book...and a blog. It's kind of a touchy subject, because we (as Christians) know that stuff shouldn't matter, but...but...but. haha! I just want to meet the lady who could do without anything except a spork. Fascinating concept. I can see how it would be kind of telling about a person. I think "what would you do with $2000" is even more telling.